Growing celery from seed can be a challenge. Celery has a long growing season and takes a while to develop when sowing from seed. Here are some tips on how to start celery plants from seed and use self-watering planters to maintain the moisture levels needed for the plants to thrive. Did you know that celery is one of the most pesticide contaminated produce items in the US? The Environmental Working Group classified celery as the 10th worst item tainted with pesticide residue in 2018. In addition, there have been dozens of reports of listeria, E. coli, and salmonella contamination of greens over the years. This worried me to the point that I stopped purchasing celery from the grocery store and tried to grow my own. I quickly discovered that celery is not the easiest plant to grow in the garden. It has a shallow root system and requires consistent moisture conditions. I failed my first few attempts at growing celery in a regular garden bed. Even though I mulched and tried to water often, the plants soon showed signs of stress by yellowing and wilting. Eventually, the stalks became hollow, tough, and stringy. Yuck. Then I tried growing celery in homemade self-watering planters. Ta-da!! Success! I enjoyed a very nice harvest of celery that first year and continue to grow celery in self-watering containers every year. Self-watering planters provide the perfect environment for growing celery by maintaining a steady supply of water, a consistent amount of nutrients, and no weeds to compete with. In addition, once planted the only care it requires is topping off the water reservoir when needed. Celery grows best in areas with a fairly long growing season that isn’t too hot. Here in Maine with our cooler weather, we plant our celery in early spring. In warmer areas, celery should be grown as a fall or winter crop. Celery takes a while to mature fully, but you can begin harvesting stalks while the plant is still young. I harvest by cutting outside stalks, and the plant continues to produce new stalks from the center. I grow eight plants in all. Two are harvested young, and the rest of the plants are allowed to mature fully. 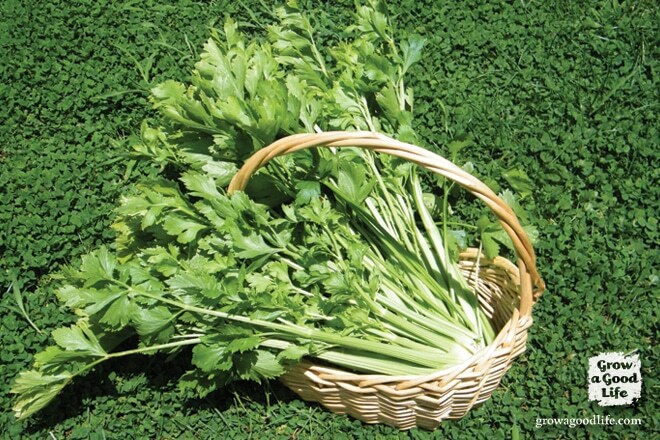 These provide plenty of fresh celery for snacking, salads and stir frys during the growing season. When the end of the season arrives, the plants are harvested by cutting at the soil surface. Most of the final harvest is sliced and frozen to add to winter soups and stews. The greens are added to scrap vegetable bag that I collect in the freezer to make stocks and broths. Celery has a long growing season and takes a while to develop from seed. 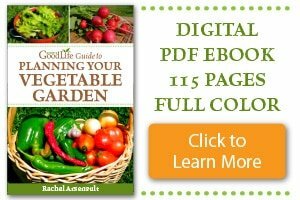 Sowing from seed under growing lights in January or February then transplanting to the Self-Watering Planters in early spring is the only way that I can grow celery from seed and have them mature in my Zone 5 garden. 1. Sow Seeds: Start celery seeds indoors 10-12 weeks before your last frost date (look up yours here). To sow your celery seeds, fill your growing containers with pre-moistened seed starting mix, sprinkle a few of the small seeds on top of the soil, mist with water, cover with 1/8-inch of seed starting mix, and press down gently to be sure the seeds are in contact with the moist soil. Label your containers, cover with a humidity dome or plastic wrap to hold in moisture, and place on a heat mat or in a warm area around 70-75°F (21-24°C). Check frequently and keep soil evenly moist. Expect to wait a while. Celery seeds can take up to 2-3 weeks to germinate. Once the seeds sprout, remove the humidity dome, and place under lights. Keep soil evenly moist. 2. Thin to Strongest Plant: Once seedlings are 2-3 inches tall, thin to the strongest plant by snipping the others with scissors. 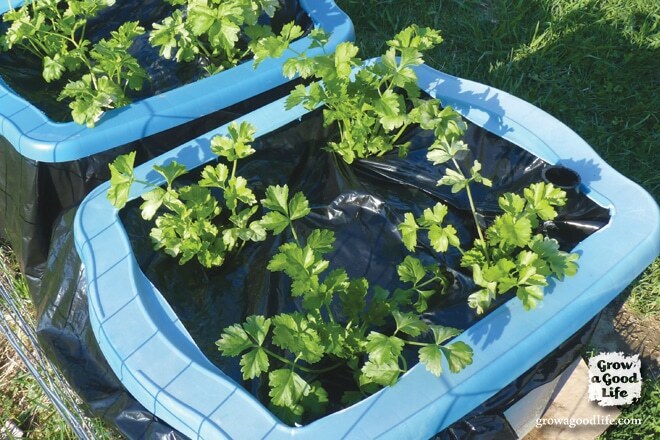 Celery is a heavy feeder so begin watering with diluted fish emulsion or compost tea every two weeks. Keep soil evenly moist in between waterings. 3. 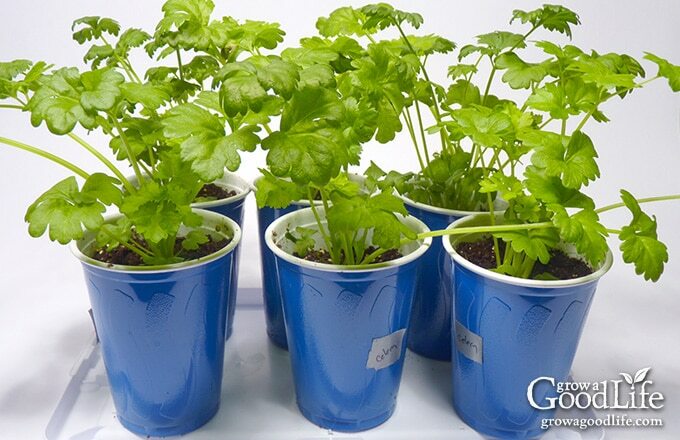 Pot Up to Larger Containers: When the celery seedlings are 5-6 inches tall, pot them up into larger containers. I use plastic cups with drainage holes poked in the bottom. Continue to keep soil evenly moist, but stop fertilizing. 4. 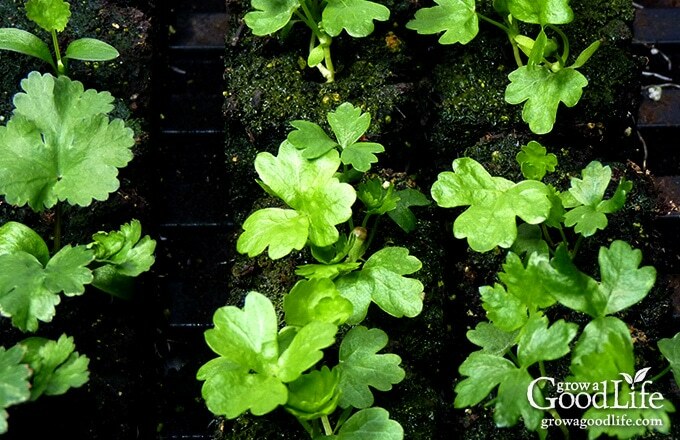 Harden Off Transplants: Begin hardening off celery transplants about 3-weeks before your last expected frost date. Hardening off is the process of adapting plants to the outside and adjust to sunlight, cool nights, and less frequent watering. Begin hardening off in a sheltered location for a few hours on the first day, increase a little each day then extend overnight if temperatures are around 50. Celery can tolerate a light frost after they are hardened off but try not to rush it. More on How to Harden off Seedlings. 5. Build a Self-Watering Planter: Follow this tutorial on how to make your own inexpensive self-watering containers out of a storage tote or purchase this Earthbox self watering planter. 6. Transplant the Celery Seedlings to Your Self Watering Container: After your celery seedlings are hardened off, transplant to your self-watering planter. Avoiding the fertilizer strip, cut holes in the solar mulch and add your transplants. I plant four celery seedlings in each 18-gallon self watering container, so I cut an X into the solar mulch in all four corners of the self-watering container. Fill water reservoir compartment until water comes out the overfill hole. Keep water reservoir full by topping off every several days in the heat of summer. 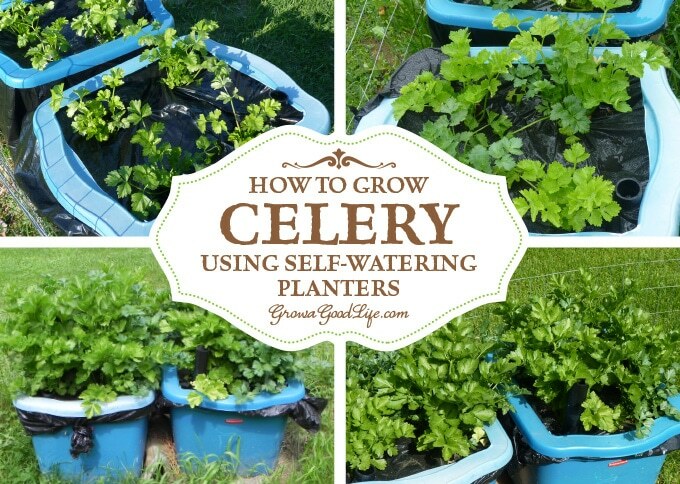 Growing celery in self-watering planters is so much easier than growing in the garden. Once the seedlings are transplanted, the only maintenance is to keep the water reservoir topped off. The fertilizer strip delivers consistent nutrients, and the wicking action of the self-watering container provides all the water the plants need. This article was originally published on December 15, 2014. It has been updated with additional information, photos, and video. We do something similar to this, it works great! I have been reading a great book on gardening and design. Fran Sorin’s Digging Deep. 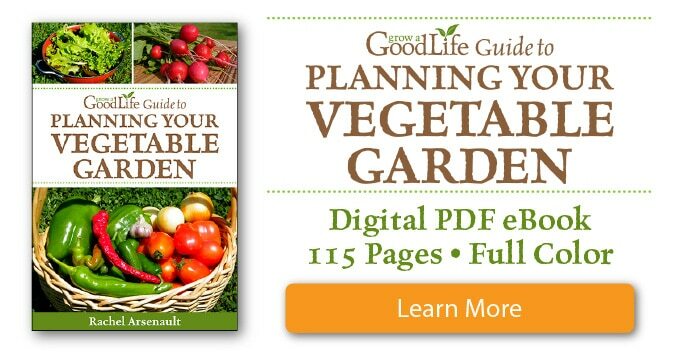 She is actually an amazing purveyor of all things garden. Worth the read! 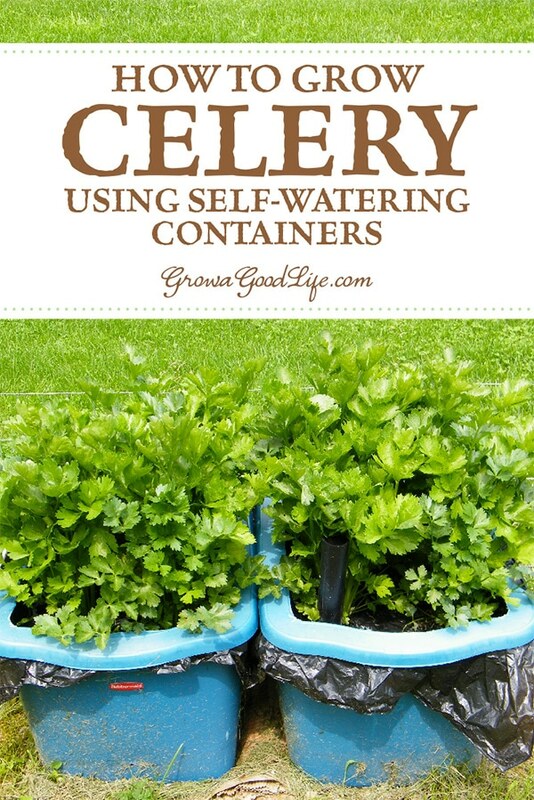 Very interesting concept – I’ve always heard how difficult celery is to grow. I’ll definitely make a note of this for when I eventually try to give it a go myself.